YOU WON’T MAKE A CENT FOR YOUR EFFORTS! So the question is, is NewsOrig.com a scam? Let’s find out! NewsOrig.com is just one of many news reading websites out there that claim to pay you $7 to $9 for every news article that you read. On top of that it claims it will also pay you $150 for every person that you bring into the program using your affiliate link. How Do I Know NewsOrig.com Is A Scam? There are many reasons that I am 100% certain that NewsOrig.com is a scam. Here are just a few of those reasons. If you take a look at some of my most recent posts or take a look in my scam section, the first thing you will notice is that I have reviewed over a dozen news sites already. Most of the sites I have reviewed look IDENTICAL to this one, from the news articles to the fine print of each page. 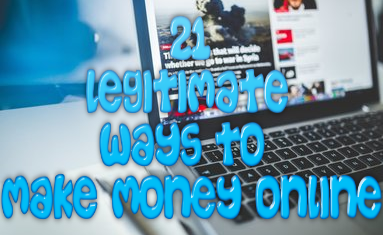 Also you will notice that this website, just like the rest are known scam sites that have yet to pay any of their affiliates for their hard work. If the other sites I have reviewed and that look strikingly similar to this one have yet to pay their affiliates, what makes you think that this website will be different? Have you ever read a news article? If so, have you compared it to the news articles on NewsOrig.com? What did you discover? If you are like me then you have noticed that the news articles on this site or not news articles. In fact they are only a sentence or two in length if that. 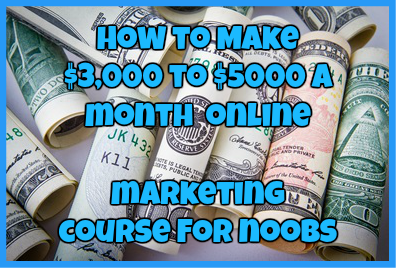 I’m sorry but I have been an affiliate marketer for a long time and I can tell you from my experience it is NOT THAT EASY to make money online. Again, I have worked online for a long time and even to this day I have yet to come across an affiliate program that was willing to pay up to $150 per referral, especially when the program itself doesn’t cost a dime to sign up for. The math just doesn’t add up. If it were true then the owner of this site would owe millions to affiliates each and every year. Where would his profit go? I’m sorry but this sets off a red flag in my head. It doesn’t make any sense. Both PayPal and Scam Advisor have been warning online users across the globe about these “news reading” opportunities because they are nothing more than phishing scams. These sites are used as PayPal address banks where their main goal is to collect PayPal email address so that the owner can hack into these accounts at a later date. Even if you currently don’t have money in your PayPal account you are still at risk, especially if you have linked a bank account or credit card to your account. If the owner of these sites can get into your PayPal account, they will have full access to these accounts as well. This is a 100% blatant scam if you ask me. I have already reviewed too many of these sites and to be honest I am getting sick of them. Affiliates won’t be paid for their efforts, no matter how long they wait for the payout period and you will just be wasting your time on it. Just save yourself a headache and stay away from this program. Have you fallen pretty to NewsOrig.com? If so, I would love to hear about your experience! Just drop me a detailed comment below! ← News-Level.com Scam: Where Are These Sites Coming From? I am looking for a work at home opportunity. I am disabled and my mess are outrageous. Will you please help me locate an income? Just take a look around my site for more legit opportunities. There are plenty that you will be able to find. Quizlabel.com is a scam. I have already received multiple reports from people about not receiving payment and I believe the same person who creates these news sites are behind these “survey sites” as well. Please let me know if http://itpays.akamarketing.net/ is a spam?? I will gladly look into this for you 🙂 Thanks for submitting it. So I have seen this exact scam before. Yes it is a scam and something I would be wary about. I am going to write a review on my site for you and others to look at for more information 🙂 I hope it will help.